The sitemap file of this site. Select files in Files Panel. When the directory is selected, this extension is list files that exist in the directory. Right-click and select "sitemap everyday" -> "make Sitemap file". 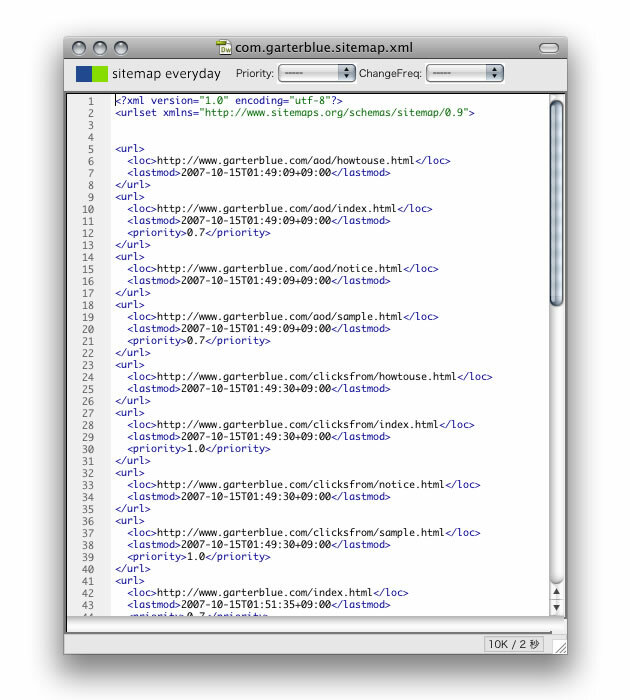 The sitemap file in new document. 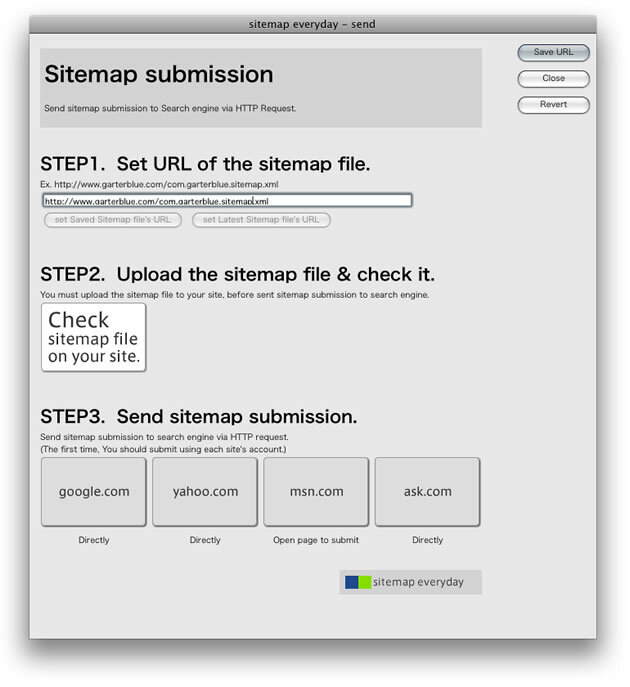 3 steps to send sitemap submission to Search engine via HTTP Request. Set URL of the sitemap file. Upload the sitemap file and check it.